Ernest Gardner had excavated with Flinders Petrie at Naukratis in the western Delta prior to his admission as a Student to the BSA. In 1898 the BSA's director David Hogarth was alerted to the damage to the site and, with the support of the Society of Dilettanti, conducted further excavations in 1899. Hogarth was assisted by two BSA students: Campbell Cowan Edgar (1870-1938) of Oriel College, Oxford (and a graduate of Glasgow University where he had been taught by Jebb and Murray), and Charles Douglas Edmonds (b. c. 1876) of Emmanuel College, Cambridge. Hogarth returned to the site in 1903 for a final season. —. 1888. Naukratis II. London: Egypt Exploration Fund. Edgar, C. C. 1898/9a. "Excavations at Naukratis. B. The inscribed and painted pottery." Annual of the British School at Athens 5: 47-65. —. 1898/9b. "Excavations at Naukratis. C. A relief." 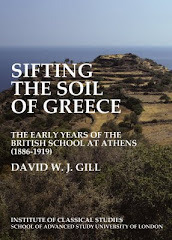 Annual of the British School at Athens 5: 65-67. Gutch, C. 1898/9. "Excavations at Naukratis. D. The terracottas." 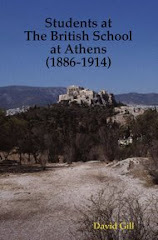 Annual of the British School at Athens 5: 67-97. Hogarth, D. G. 1898/9. "Excavations at Naukratis. A. Sites and buildings." 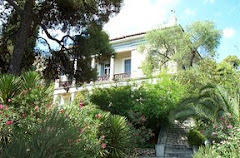 Annual of the British School at Athens 5: 26-46.